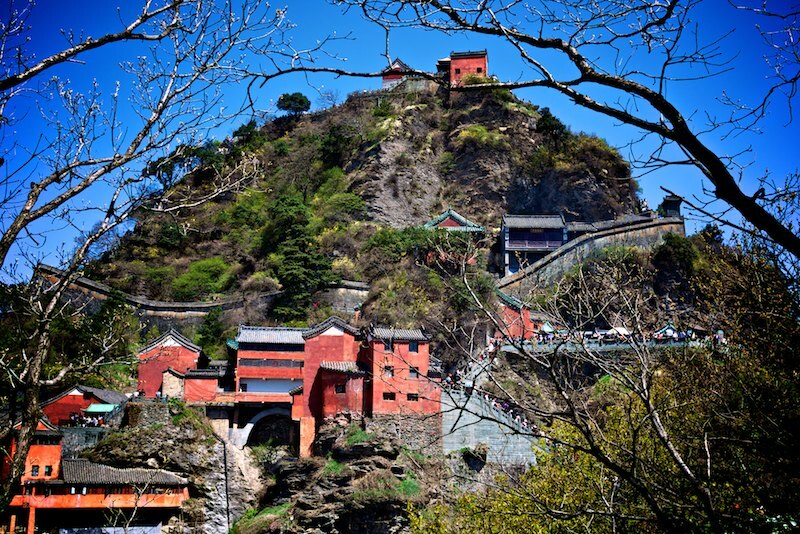 Wudang mountains, the cradle of Kung Fu. 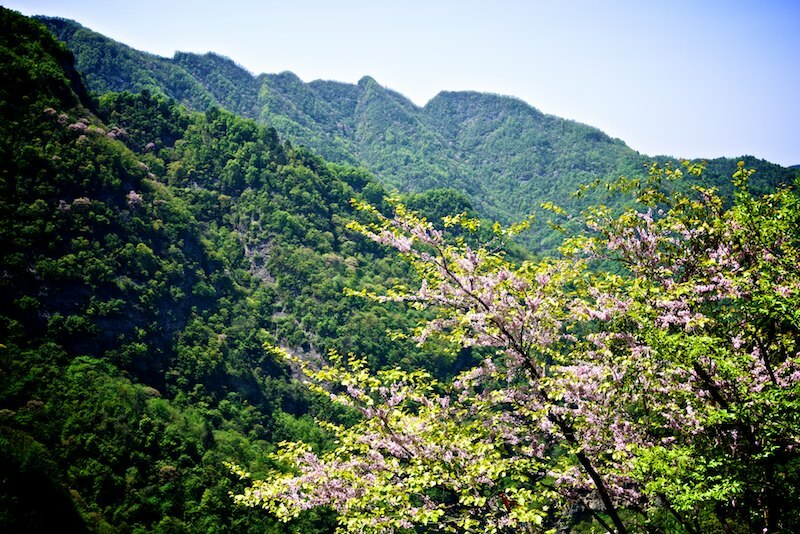 The chi of this place feels tremendous as I watch from the mountain peaks across valleys in its fullest green, dotted with trees in full blossom. I’m now sitting back in Beijing, brewing some of the leaves that I took back. Hoping to taste the mountains again. The water is starting to hiss, and then to purr – going into a full boil. I put some leaves into my Gaiwan and add the water. A sweet aroma fills the room as green leaves dances around in the water. The taste is sweet, fills the entire mouth. But feels light anyway. Wudang mountain green tea. Picked just before the Qinming spring festival. I’d like to share this tea with you. So I’m giving away a small packet with this magnificent and rare tea for the first 5 people to order tea in our webshop. On another note we have been playing around with the idea of opening up a Tea Club. 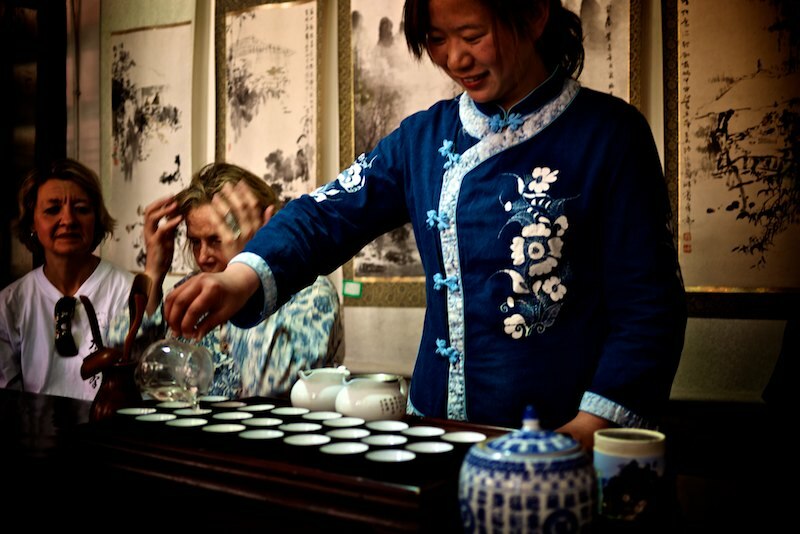 For the members we’ll send out a new special tea from the market every month to experience. We haven’t got all the details ready yet – so if you have any suggestions you can leave a comment.